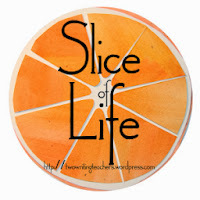 I am participating in the Two Writing Teachers' March Slice of Life Challenge. I am joining other bloggers and writing each day in March. Last night was bittersweet. Seated in a circle, some of us on the bare hardwood floors, other on the empty hearth, we ate our last meal together at our house. With pizza on plates that we had propped on our laps, we shared our favorite memories of the house. There are a million more memories I could write about. 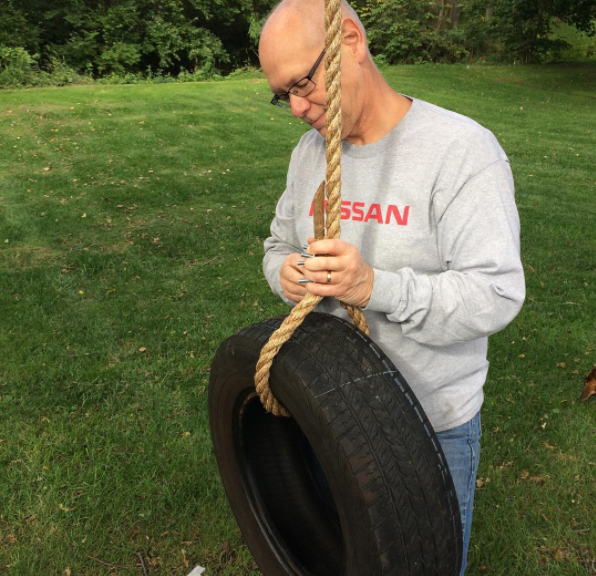 The girls ended the evening by taking the dog outside, running through the yard and taking one more swing on the tire swing. It was a good way to end the evening. So hard to leave home. Best of luck to,you as you move on. A house that's been our home will always be part of us and in our memories of people and events. Your slice makes me think of a book by George Howe Colt called "The Big House"... subtitled "A Century in the Life of an American Summer Home" -- the house is the center of his memories. A lovely read, btw. I said goodbye to our family's home about 3 years ago! It was hard, but the memories stay. Glad you had this special evening, Julie! I always find goodbyes to be hard. I try to remind myself that goodbyes bring new hellos, but still I never find them easy. I enjoyed reading about the many treasured memories of your house. These moments are so powerful. It's exciting to be looking ahead, but the memories you have there will be treasures. Thanks for sharing all these sweet moments. Just seeing your Blog for the first time. Bless you and Keith and the girls!